Following America’s abdication of power in confronting Bashar Assad and his use of chemical weapons, the West’s appeasement of third-world dictators continues. At the UN, many of the world’s politician’s and the international press are falling over themselves to praise and ingratiate themselves with Iran’s ostensibly moderate and sweet-talking new president Rouhani and have given him a royal welcome. At issue are suspicions outlined in reports from the UN’s International Atomic Energy Agency that Iran worked secretly on trying to develop nuclear weapons — something Tehran denies. As part of its probe, the agency is trying to gain access to a sector at Parchin, a sprawling military establishment southeast of Tehran. For the first time in history, the public was able to discover the details of a terrorist attack as it happened. This remarkable development took place last week when the Somali Al-Shabaab terrorist group attacked the Westgate Mall in the Kenyan capital, Nairobi. The public was relieved by the Tweets of the Kenyan interior minister on Monday evening, declaring that Kenyan security forces took control of the situation after four days of confrontation with terrorists, and dozens of deaths. The next day, the world woke up to a vague tweet from Al-Shabaab, claiming that the operation was much bigger than Kenyans thought, and that many hostages died at the hands of the security forces. This was not confirmed by any other source. Other terrorist groups have been using the Internet for many years to recruit members and spread their ideas and activities. Allow me to begin by apologizing for writing in English. 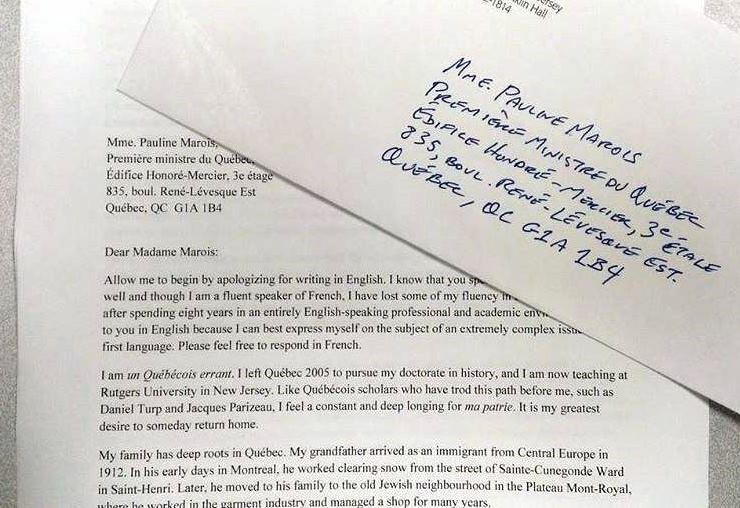 (This letter is now available in a French translation at HuffPost Québec.) I know that you speak and read English very well and though I am a fluent speaker of French, I have lost some of my fluency in the written language after spending eight years in an entirely English-speaking professional and academic environment. I write to you in English because I can best express myself on the subject of an extremely complex issue in my first language. Please feel free to respond in French.